So I have renamed the blog and given it a new look. My goal in overhauling and renaming the blog is to make the content more balanced and more reflective of my life, as oppossed to my research (I’ll still include that too of course). I feel like the blog has become, to some degree, about fulfilling expectations rather than expressing my own thoughts and practices. I’d like to get it back on track and I feel like this is a great way to do that. In reality this probably won’t amount to a huge change, more like a subtle shift, but I am excited to see things moving a new directions. The new name is based on a suggestion from a friend. I like it on several levels: I am dedicated to Woden (Odin, Wotan, He-of-the-many-names), like Him I am a wanderer with a thirst for knowledge, and I am a witch whether you call it seidhr, folk magic, or what-have-you. It feels like an honest name that describes better who I am and what I do. 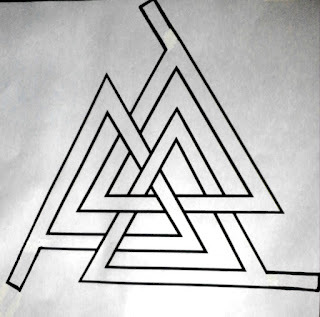 That name, with it's three w's, relates to the rune wunjo which I have a special association with myself and also, as that same friend pointed out, lends itself nicely to a combination of the three w's and the valknut symbol which is often considered to be Odin's. I'm excited about this new beginning - tomorrow I'll be blogging about my approach to ancestor worship. 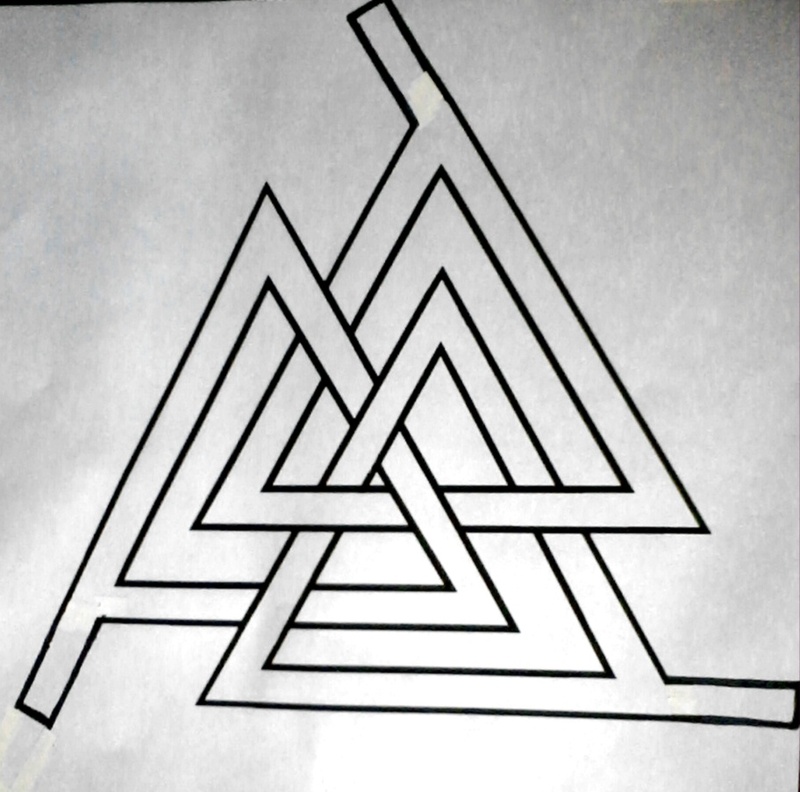 I really like how you've worked the three wunjos into the valknut. Looking forward to reading your take on ancestor worship. I'm finding my own path is moving away from the Gods and more towards the nature spirits and the dead.